Russia plans to start their own search for planets outside our solar system following U.S. and French successes in finding such exoplanets. 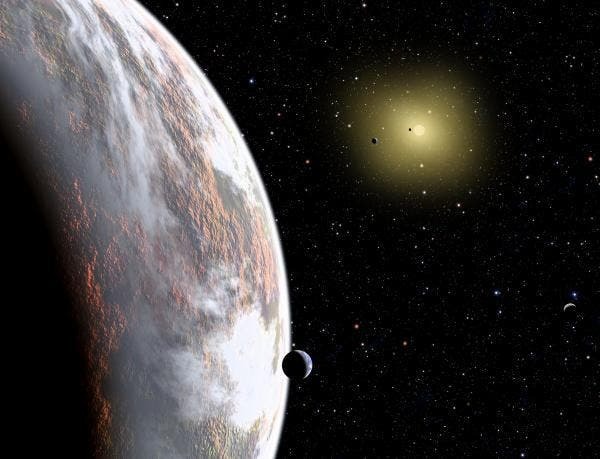 The U.S. Kepler space telescope and France's CoRoT space telescope have been successful in identifying exoplanets, while Russia's project will be Earth based. Ground-based telescopes can be used for the observation of a star's small drop in brightness occurring when the orbit of a planet passes in front of the star, known as a transit detection. "Scientists from the Pulkovo Observatory are planning to use ground-based instruments to study the transit of planets around their parent stars," Lev Zelyony, head of the Institute for Space Research told RIA Novosti in Moscow Wednesday. He pointed to the example of the ground-based Hungarian Automated Telescope Network which so far has discovered 29 exoplanets. "It is an interesting research, which should be pursued," Zelyony said. "It will also help us look at our solar system from a different perspective."